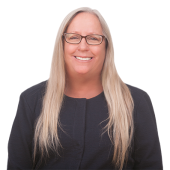 Shannon Quigley has been in the legal field for 17 years and has been a legal assistant since 2014 for The Law Office of Janet L. Brewer (Estate Planning, Trust Administration, and Probate) in Palo Alto, California. Shannon joined SCCoLPA in 2011 and has served as VP of Membership & VP of Marketing, and as Executive Secretary. Jessica L. Urioste has been the Office Manager at The Law Offices of Peter N. Brewer for over 11 years. She graduated from Humboldt State University and started her legal career by managing female inmates under the Department of Corrections, then took a position with former Congressman, Pete McCloskey. Jessica loves a new challenge and is excited to take on her new role as the VP of Membership for SCCoLPA. Sheryl Boardman has worked as a Senior Account Sales Manager with Compex Legal Services for the past 10 years. Prior to that she worked in the insurance field as a Workers’ Compensation Claims Examiner. She also serves as Treasurer for the South Bay Industrial Claims Association. Sheryl joined SCCoLPA in 2015. In her spare time she enjoys camping, waterskiing, hiking with her dog and spending time with her family. M’Liss Bounds is a paralegal in the employment group at Hoge, Fenton, Jones & Appel in San Jose. In addition to her many duties as a paralegal, she is also a trainer for her Firm and uses her knowledge and experience to train incoming staff, new law school graduates and attorneys. She is passionate about training and it is what motivates her. M’Liss has been a member of SCCoLPA since 2015 and is also the association’s Reservations Chair. M’Liss’ is looking forward to her first term on the Executive Board and is passionate about educating and training the younger members of the association. Rod Cardinale, Jr. is a Sr. Paralegal/Officer Manager at The Law Office of Janet L. Brewer. Rod is a graduate of the Evergreen Valley College Paralegal Program, and joined SCCoLPA in June of 2009. Rod served as President of SCCoLPA from 2010-2014. Rod is dedicated to the continuing education of SCCoLPA members as well as the continued growth of SCCoLPA and LSI. In addition to serving SCCoLPA as Executive Advisor, Rod is also serving as LSI’s Executive Secretary. 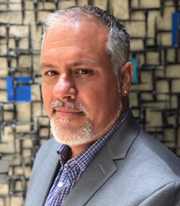 Rod has previously served as LSI’s Treasurer, Social Media Chair, Legal Procedure Chair, 2013 Annual Conference Chair, and Official Registrar. In Rod’s spare time he likes to cook, travel, watch sports and spend time with his family. Elena K. Schneider, CCLS is a Legal Assistant at the law offices of McManis Faulkner in San Jose, California. The firm’s practice areas include Civil Litigation, Family Law, Employment Law, and Appellate Law. Elena has been in the legal field since 1993. She joined SCCoLPA in 1997, and earned the designation of California Certified Legal Secretary in March 2002. Since becoming a member of the association, she has served as its Treasurer and CCLS Chair. Elise Dresser, CCLS, is a Legal Assistant at the law firm of McManis Faulkner in San Jose. Elise is the immediate Past President of SCCoLPA (2016-2018) and has served on the SCCoLPA Executive Committee since 2008 as Governor and Executive Secretary. Elise attained the designation of California Certified Legal Secretary in 2009 and has served as the CCLS Certifying Board Chair for LSI. Vivian Shreve is currently an Executive Assistant in the Palo Alto office of Wilson Sonsini Goodrich & Rosati, the premier legal advisor to technology, life sciences, and other growth enterprises worldwide, where she has worked since 2008. Vivian joined SCCoLPA and obtained her CCLS designation in 2013 and served as the SCCoLPA’s CCLS chair from 2014-2017. Vivian is currently serving as a member of the California Certified Legal Secretary Certifying Board for LSI. With over 25 years of legal experience primarily in civil and IP litigation, Vivian is looking forward to her first term on the Executive Board, and is committed to educating young legal professionals.